Players weigh in: Who is the Rookie of the Year? LOS ANGELES — Two players have jumped out ahead in NBA Rookie of the Year race, but most of their peers can’t decide which one is in the lead. 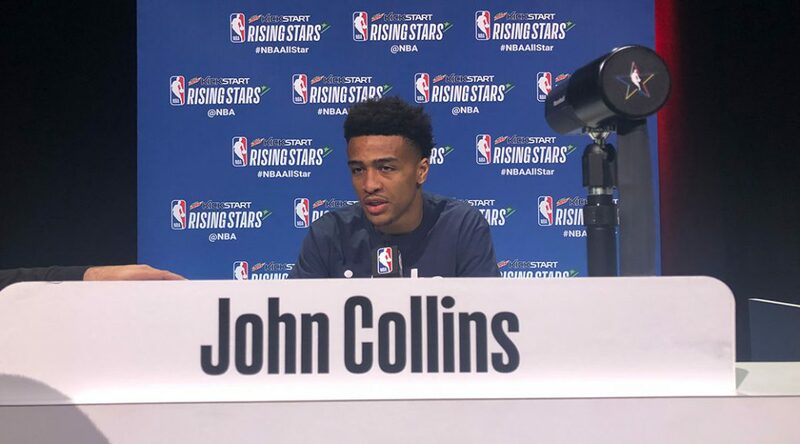 Donovan Mitchell, the top scorer for a Jazz team rolling into the All-Star break on an 11-game winning streak, and Ben Simmons, the 76ers do-everything forward, were the go-to answers for first- and second-year players participating in the Rising Stars Challenge when asked who, if given a vote, were their favorites. 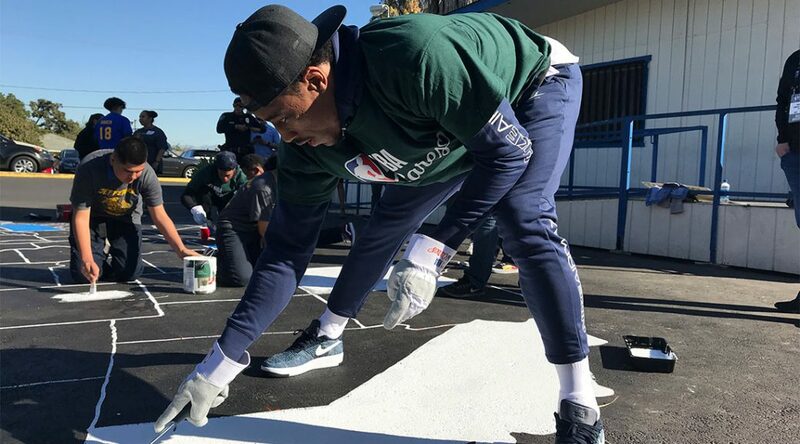 LOS ANGELES — No matter if they play for different teams, at different levels or in different generations, when it comes to giving back to the community, the NBA unites as a family. 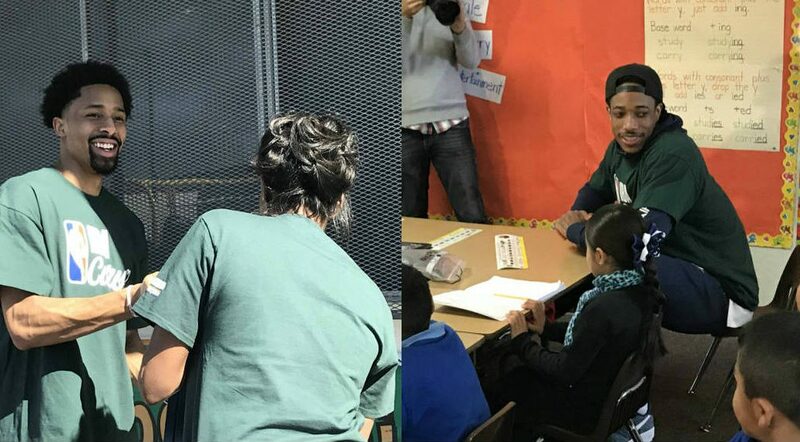 On Friday, NBA All-Stars Anthony Davis, Kemba Walker, Larry Nance Jr. and Eric Gordon joined NBA legends at Los Angeles Regional Food Bank to help assemble food boxes for individuals and families, especially seniors, who are still facing hunger in Los Angeles County. LOS ANGELES — Publicly, All-Star Weekend is notable for being a time when celebrities descend on the host city to enjoy a work-free weekend. Privately, one woman worked tirelessly behind-the-scenes to make sure the gathering of big names was not in vain. 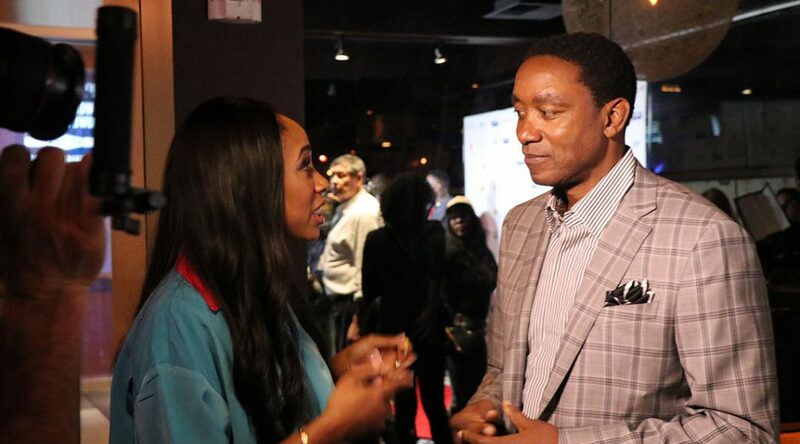 On Thursday, Leah Cher Pump, president and CEO of the LadyLike Foundation, hosted the inaugural NBA All-Star Weekend Celebrity Bowling Classic at Lucky Strike Lanes at L.A. Live. The event, which featured appearances from celebs such as Paul Pierce, Isiah Thomas, Terrell Owens, benefited the non-profit organization. LOS ANGELES – Jesse Jones is almost too famous to be here. A dozen men took turns shooting threes and executing exotic dunks in an empty Staples Center on Wednesday, all part of the dress rehearsal for the NBA All-Star Weekend’s competitions. Some, like Jones, played college basketball. But only Jones can boast Kyrie Irving, Carmelo Anthony and LeBron James as fans. LOS ANGELES – There’s no need to wait until Saturday night. Here are the final dramatic moments of the NBA All-Star Verizon Slam Dunk contest.